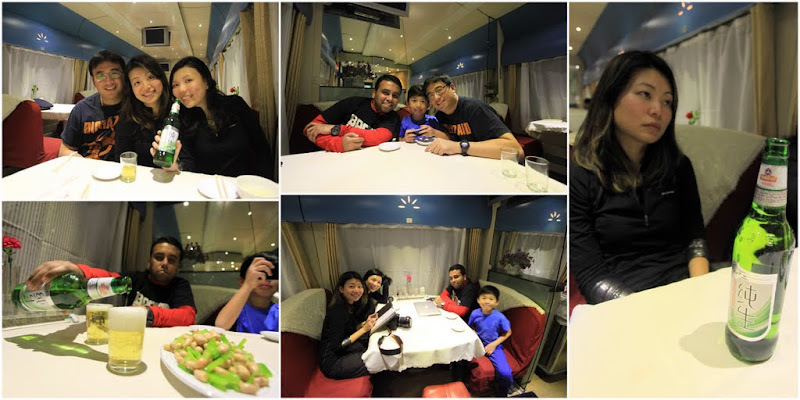 Christmas Day – We embarked on a full-day train journey to the largest and best ski resort in China. 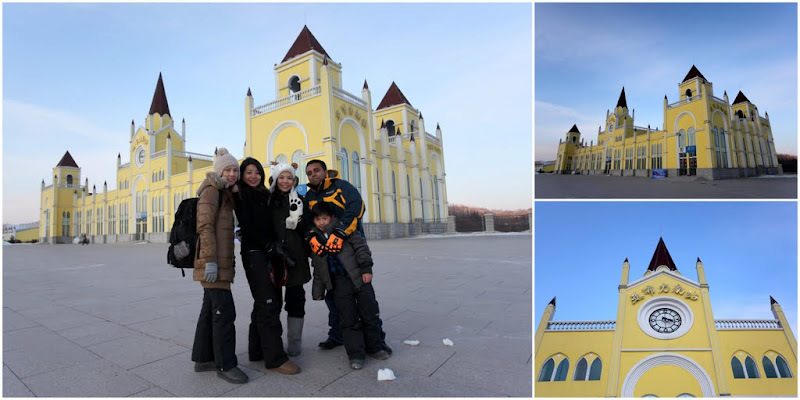 Located in the northeastern province of Heilongjiang, Yabuli Ski Resort is 1,200km away from Beijing, 200km from Harbin. It was a mad rush this morning. We were supposed to check out the hotel at 6am and board the train at 7:15am. Tracy and Kalinda overslept and woke up only at 5:50am. To avoid any more surprises, Harshad and Felicia left the hotel first to recce the train station. Fortunately, the train station is only 10-minute drive away. The girls managed to check out at 6:30am. We managed to board the train just in time. Phew…what an adventure! There is no direct train from Beijing to Yabuli. We have to transfer to another train at Harbin city. It was a very long and tiring journey. 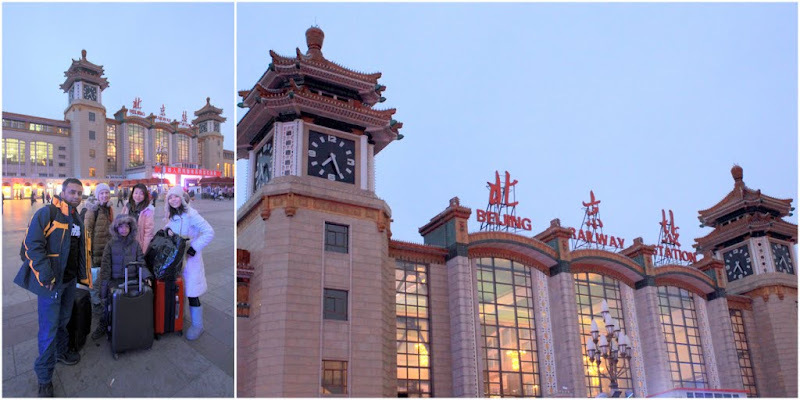 The train from Beijing to Harbin took 9.5 hours. We waited about 2 hours for our next train (and we had cup noodles for our dinner). The second train from Harbin to Yabuli took another 3 hours. 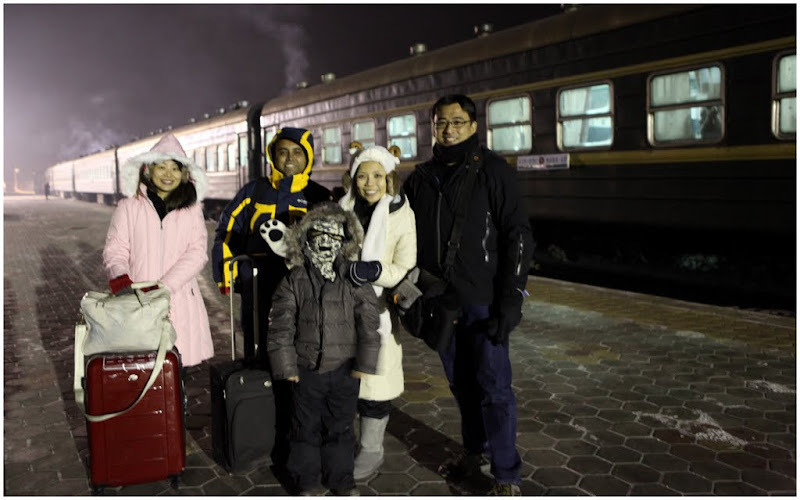 At Yabuli train station, we took a 40-minute car ride to our resort. The total journey took about 15 hours. To fully experience how the local travel, I booked all 4 different classes of seatings for all our 4 returning train rides – namely the “Hard Seater”, “Soft Seater”, “Overnight Soft Sleeper” and the deluxe “Twin Soft Sleeper” with personal in-cabin lavatory. 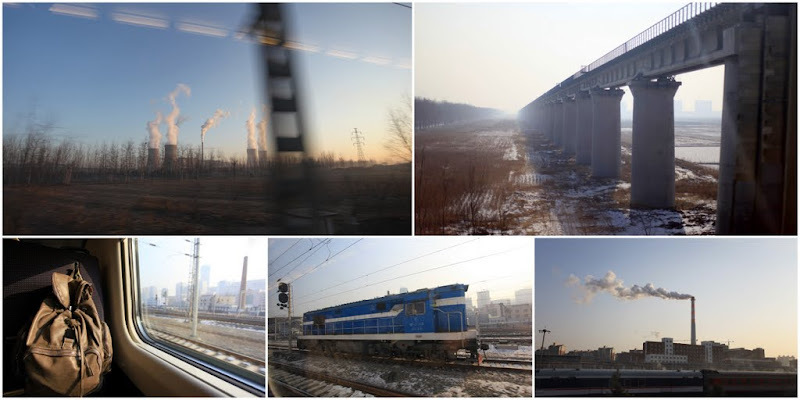 The train ride from Beijing to Harbin was surprising comfortable and smooth. It was like taking a business class seat. Clean and spacious with lots of legroom and very soft comfortable seat. It cost RMB311/pax. Heading up north, we saw the transition of the landscapes right outside the window. From dried sandy plains to white powered lands, it was like watching the change of seasons from Autumn to Winter. We saw the morning, afternoon and evening sun. We saw towns, factories, farmlands and cities. It was a beautiful moving portrait. 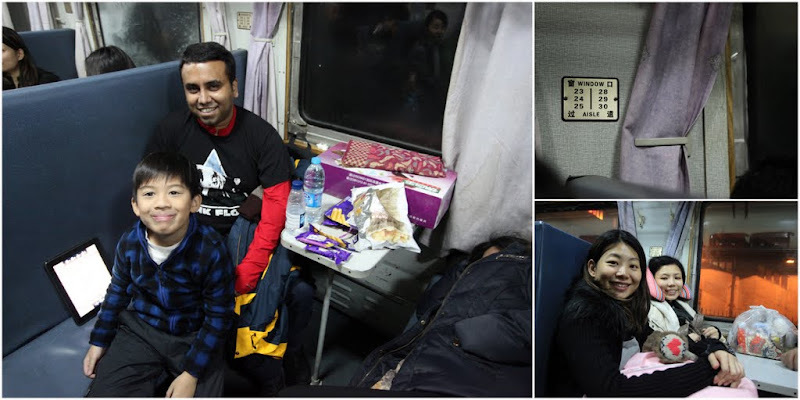 Our connecting train from Harbin to Yabuli was less luxurious but it was the most interesting ride of all. As it was only a 3-hour ride, I bought the lowest grade seating – the “Hard Seater”. It was such a memorable experience traveling in the hard-seater carriage. 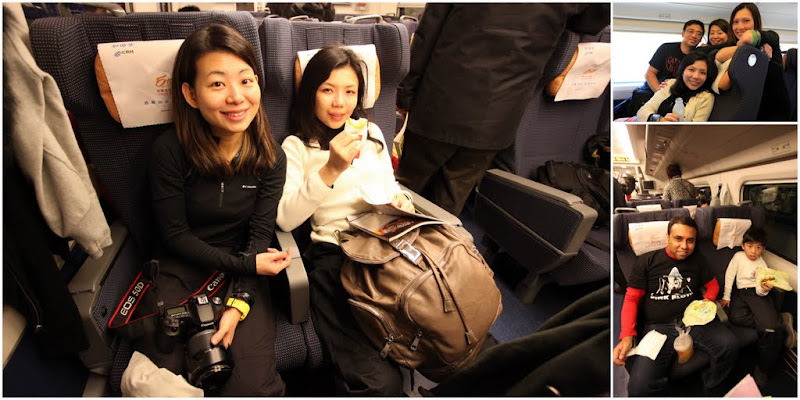 We mingled with the locals and they were very surprised to find Singaporeans on board. In fact, they were surprised to see “tourists” in the hard-seater carriage. They said most tourists took the “Soft Seater” carriage. Elkan and Harshad attracted the most attention – as it was not a common sight for them to see a young Chinese boy speaking fluent English to an Indian. After breaking the ice with the strangers, the locals offered us food and white wine. They were very friendly and warm people. A couple of them gave us travel tips and warned us against unscrupulous conman. We were all perfect strangers but the atmosphere on board was like a gathering of old friends and families. Lovely! After a long interesting day on rail, we finally arrived at our ski resort at Yabuli. It was already 11pm at night. (We left our Beijing hotel at 6am). 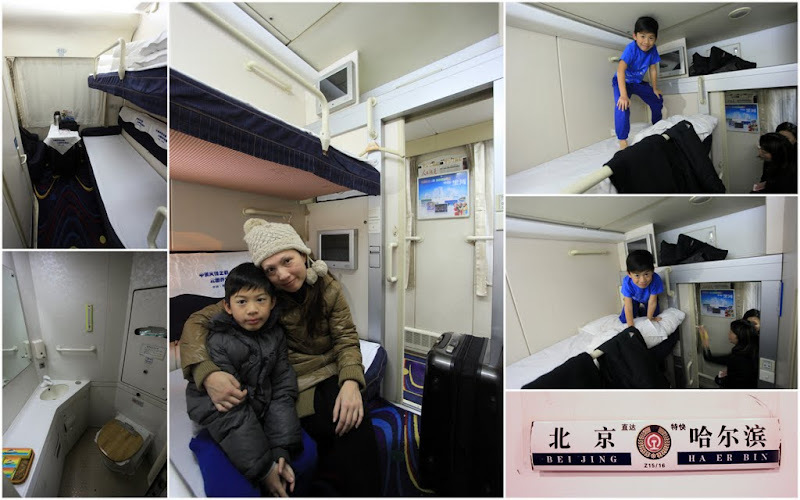 The train ride was an extraordinary experience for all of us – who had been accustomed to luxury traveling. We spent good time on board connecting with one another and mingling with the locals. We slept, we ate, we drank, we sang, we played cards and we danced. It was a different and enriching traveling experience. Bravo! It is not really “hard” like the ones we have on the MRT train. It is economic-class seats for most of the thrifty locals. It is not advisable to travel on this class during peak seasons like Chinese New Year as it will be overly packed and crowded. We took this train from Harbin City to Yabuli. It costs RMB19/pax. We were traveling in a low-peak season and it was only 70% filled. Passengers here are surprisingly friendly, chatty and rowdier. Even though the passengers have to sit according to the seat number, they are willing to exchange seats so you get to seat with your friends and family. Expect lots of activities going on there. Don’t be surprised if they start to make small talks or share food with you. While we were there, our “small talks” became “long talks” that lasted the entire 3 hours. We had lots of fun here. 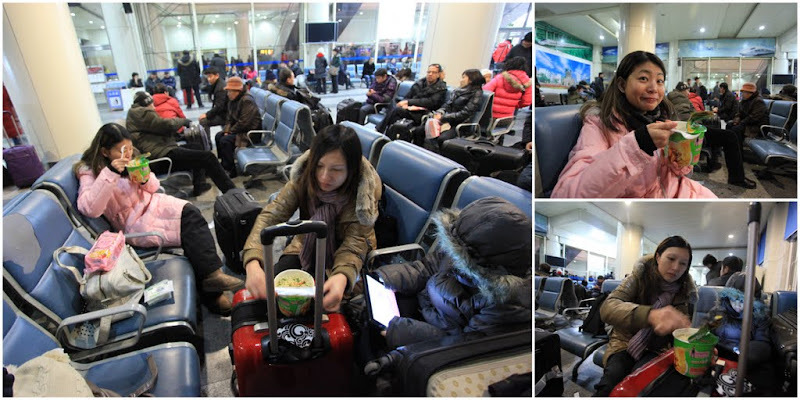 We took the soft-seaters from Yabuli back to Harbin City. It costs RMB50/pax. 6 of us squeezed into a tight 4-bedder cabins. The good thing about soft-seater is there is little chance of overcrowding within the cabin. The full cabin fits 6 passengers. It is ideal if you take up the entire cabin to yourselves so you won’t be in any awkward closeness with strangers. For those who like privacy, there is a sliding door which you can close. It is a small cabin with 4 double-decker beds. Very similar to the 6-seater “Soft-Seater Cabin” we had. 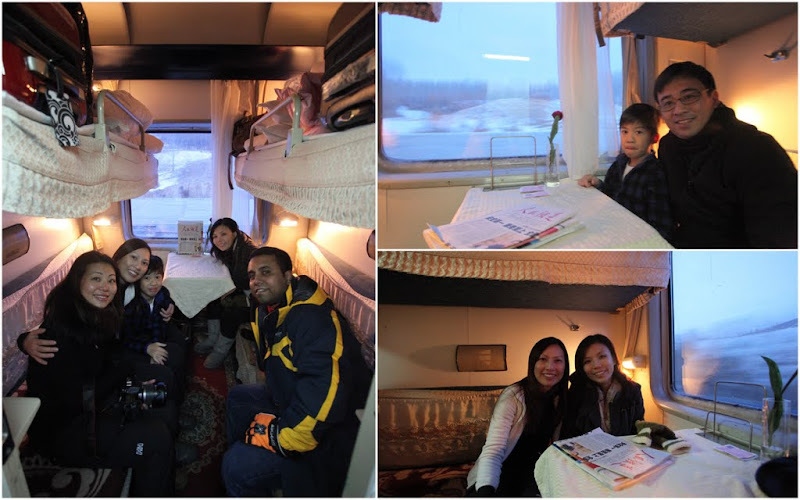 We took this class for the 9-hour overnight train from Harbin City to Beijing. It costs RMB433/pax. The cabins aren’t sound-proof so you get to hear noises from the next cabin. We had the whole cabin to ourselves so we didn’t feel unsafe. Sleeping was pretty comfortable except the usage of the lavatory. There were only 2 lavatories on each carriage. It is advisable to be one of the firsts to use the lavatory. Bring your own toilet roll, wet-tissues and hand sanitizers lotion as it runs out pretty fast. I was expecting a queen bed but it was a double-decker 2-bedder cabin. The beds are wider and the cabin is must spacious than the 4-bedder ones. It comes with a private in-cabin lavatory so clean freaks need not to worry about sharing germs and foul smell. There were LCD TV at the end of each bed but it wasn’t working for us. It is a very comfortable for a long-haul overnight ride. A big cafe is located just next door and we had our supper there. 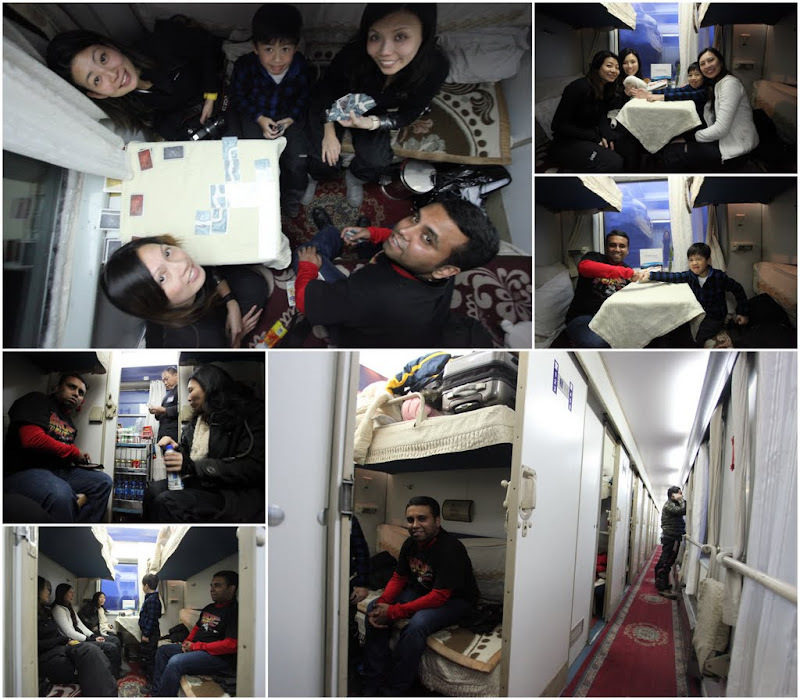 Felicia and I took this cabin from Harbin to Beijing. It costs RMB840/pax. Very detailed on your transport via train.. May I know where did your book your train tickets from?